On Sunday, we had a church potluck. I may or may not have forgotten about it until my sister reminded me on Thursday, and then forgot about it again until Saturday afternoon. Don’t judge me. I have a 6 month old and routinely get very little sleep. Anyway, so there I was, Saturday afternoon with nothing to make to bring to church the next morning. So I decided to raid my grandma’s recipes. It seemed like the right thing to do. There’s something about church potlucks and grandma’s recipes that just fits. It looked simple enough. Granted, it’s one of my grandma’s recipes, so simple is the name of the game. My grandma doesn’t like fuss. I had exactly 2 of the ingredients on this list. 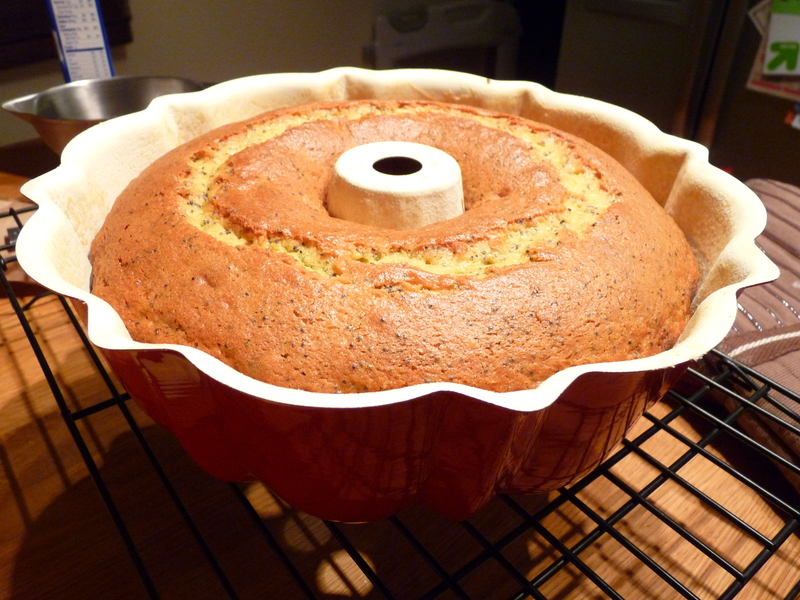 And I didn’t have a bundt pan. Which means I had a perfect excuse to get one. Or, in my case, send my husband to get one. In all fairness, he was going to get me one for my birthday but didn’t know which kind to get. Please excuse the poor quality of these photos. It was Saturday night and the sun was down. 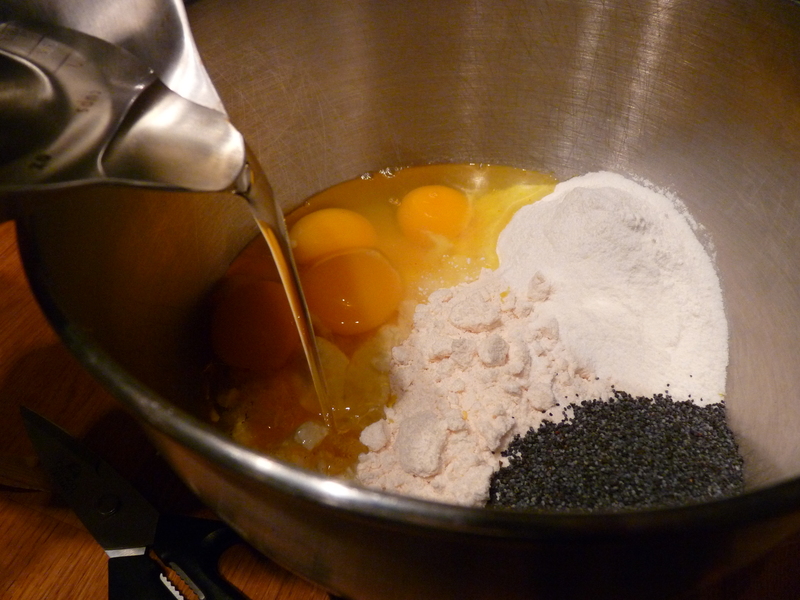 Then start putting ingredients in the bowl of your mixer, or in any mixing bowl if you want to do it by hand or with a handheld mixer. Whatever works for you. Ok, so basically you just dump everything in. But if I did that, it would be really hard to tell what was going on in the pictures. 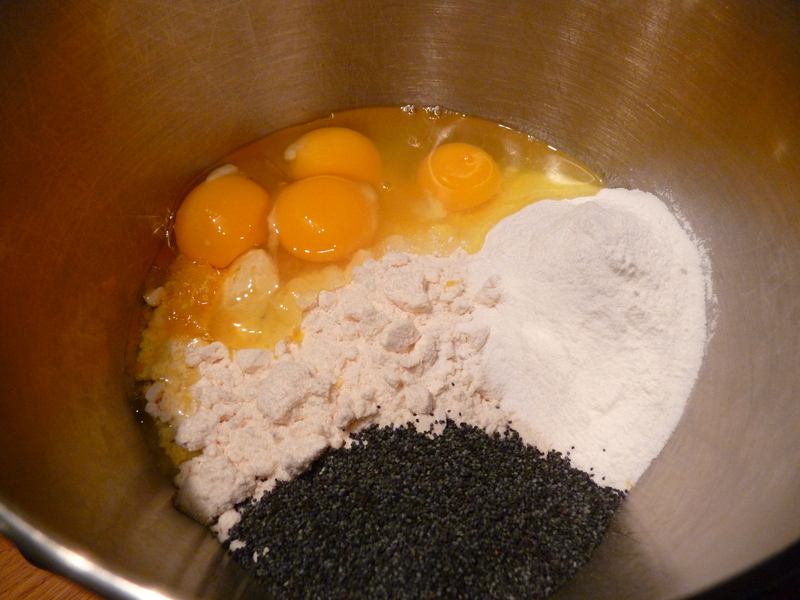 The directions say “mix for 3 minutes only.” So I set my timer and turned on the mixer. 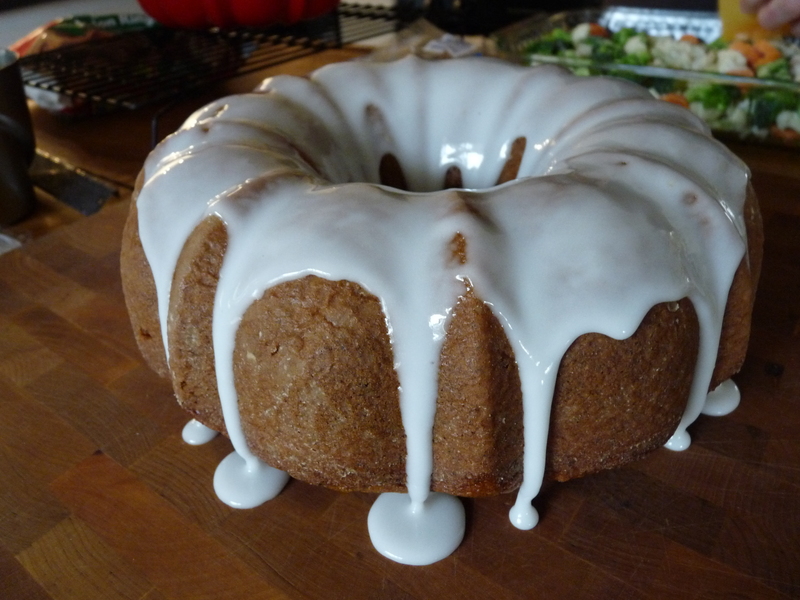 While the batter is beating, it’s time to grease and flour your bundt pan. 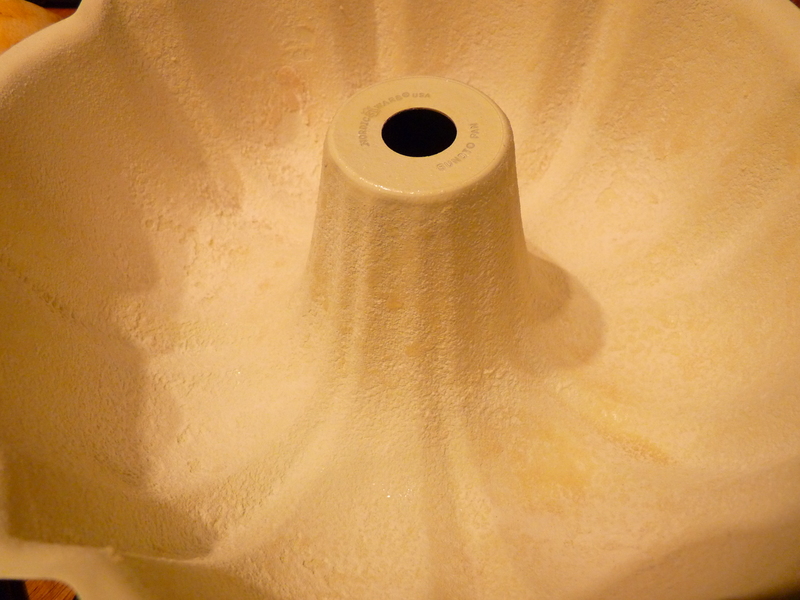 In case you’re unfamiliar with this practice, you grease the pan (with oil or butter or cooking spray) and then put a little flour in, turn the pan around until the whole surface is covered in flour. Then you tap out the excess. 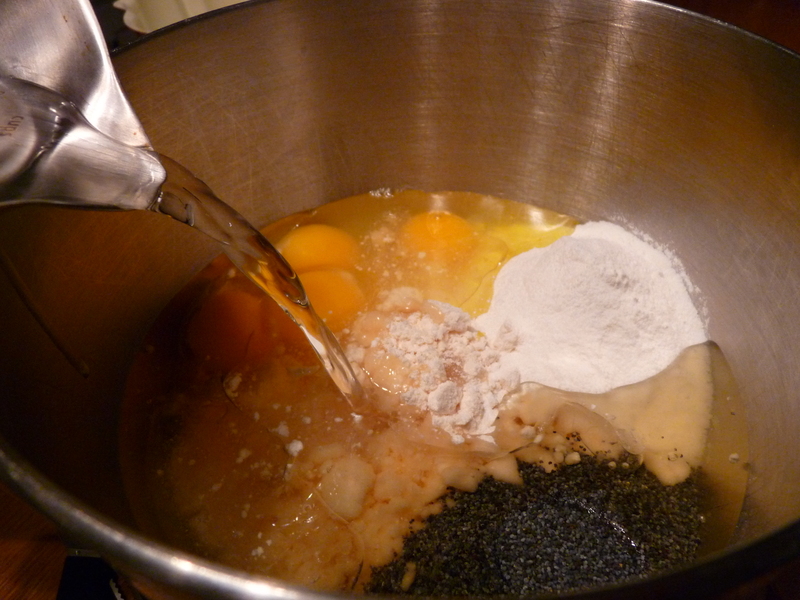 Here is the pan, all nice and floury. flowery? My cooking spray didn’t spray all that evenly, so I ended up with a few globby spots. It’s ok, the glaze covered up anything on the final product. 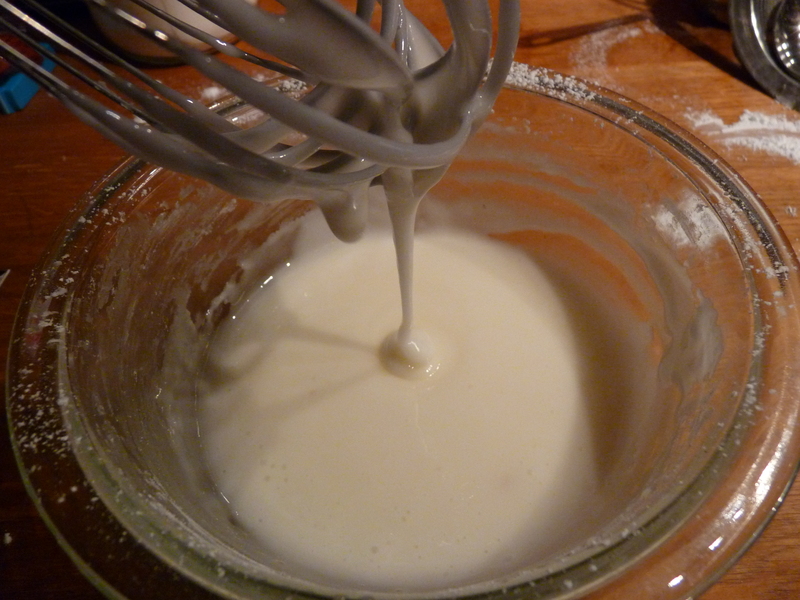 So after 3 minutes of beating, your batter will look something like this. While it’s baking, make your glaze. 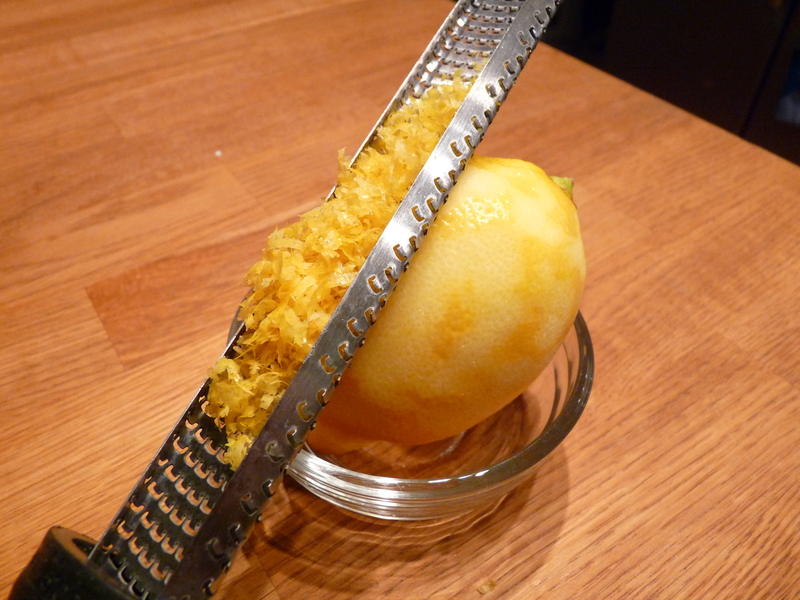 Take that lemon you zested and squeeze out all the juice. All of it. As much as you can get. 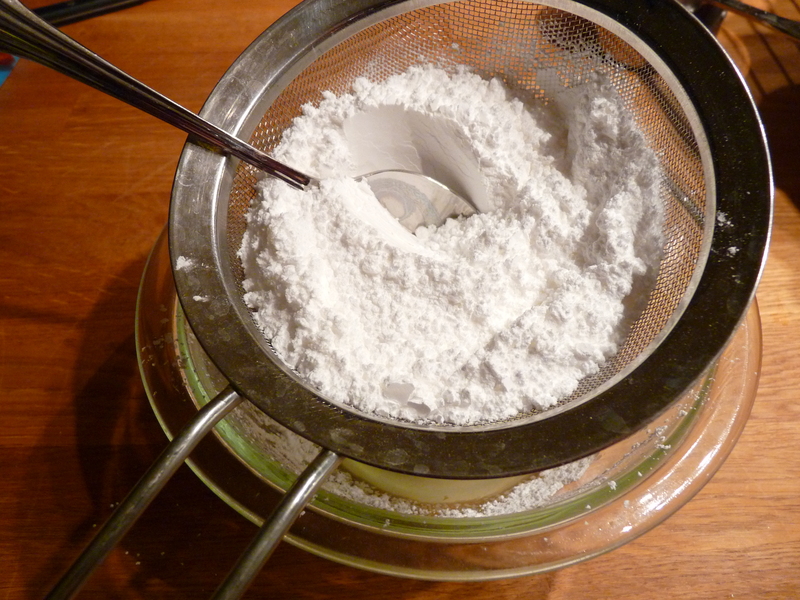 Then add some powdered sugar. 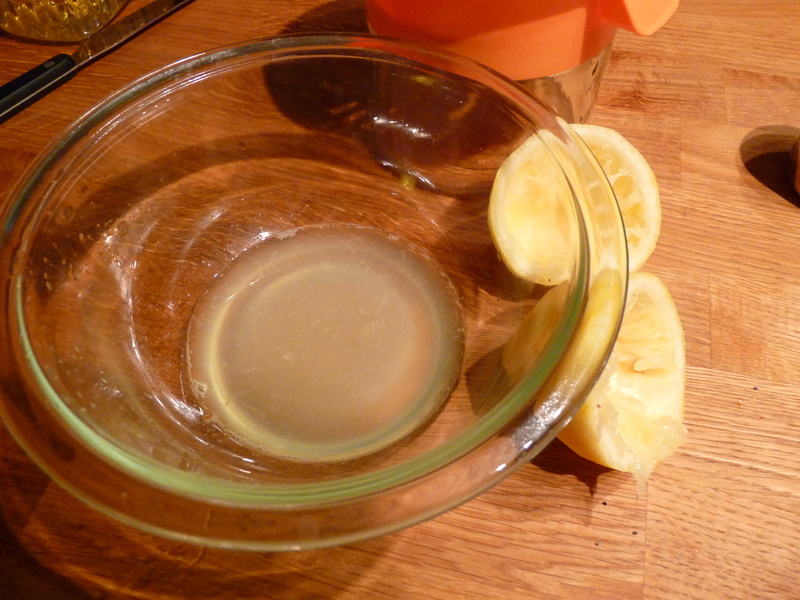 I used about 1 1/2 to 1 3/4 cups, but the amount you use will depend on how much juice you got out of your lemon. And since not all lemons are the same size, you’ll have to add the powdered sugar slowly until you get the right consistency. I’d start with about a cup and go from there. 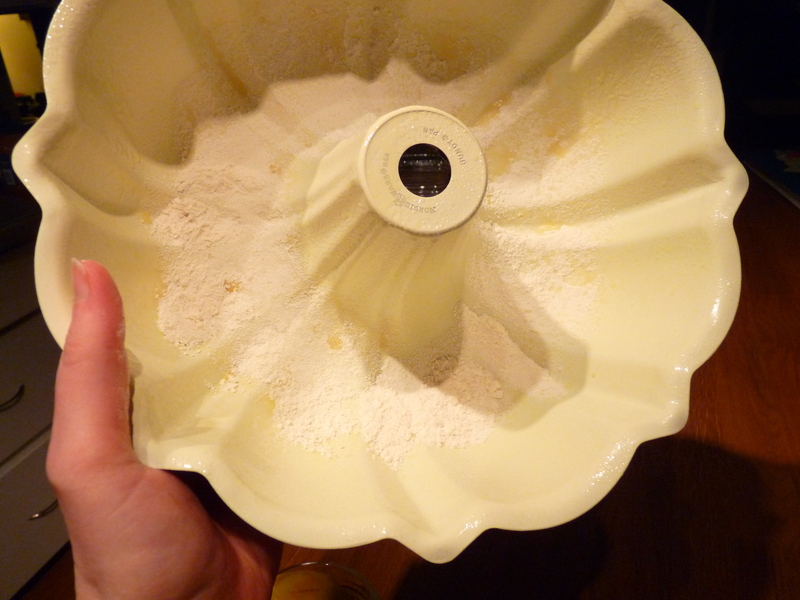 Oh, and don’t forget to sift it. Otherwise you’ll have lumpy glaze. 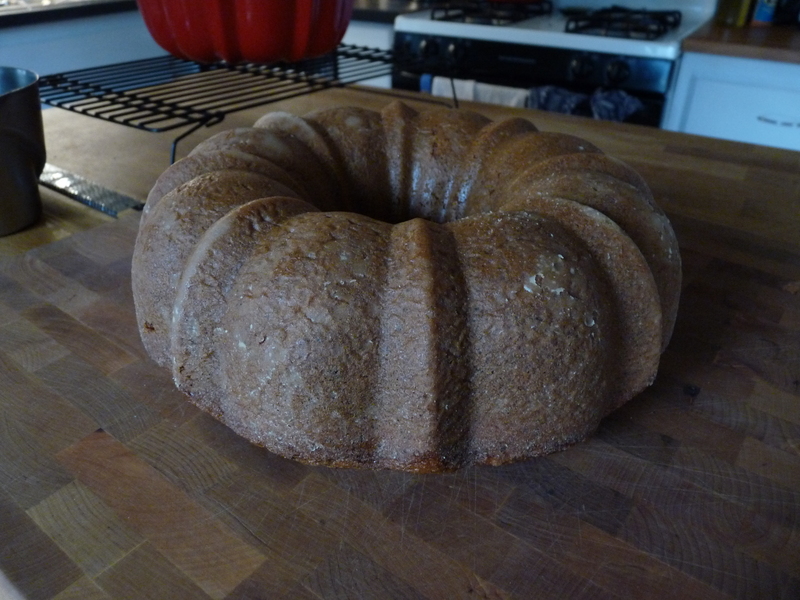 And no one will want to eat your cake if it has lumpy glaze. Well, that’s probably not true. But, still. Sift it. 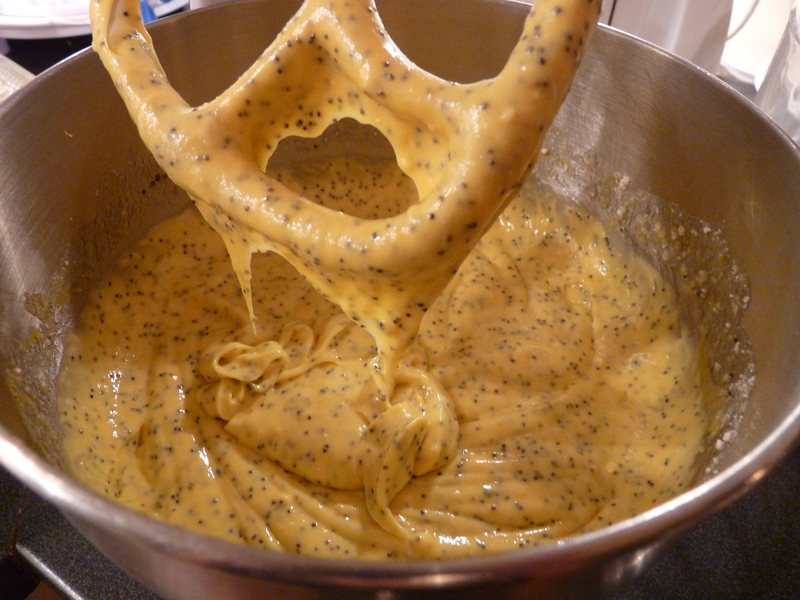 Then whisk it together. With a whisk. This is the consistency I ended up liking. Again, please disregard the poor lighting in these photos. Also disregard the powdered sugar all over my counter. The recipe says to let it cool in the pan for 2 hours. Seeing as I was making this for Sunday, I left it overnight. Here it is the next morning! Spoon your glaze evenly over the cake. 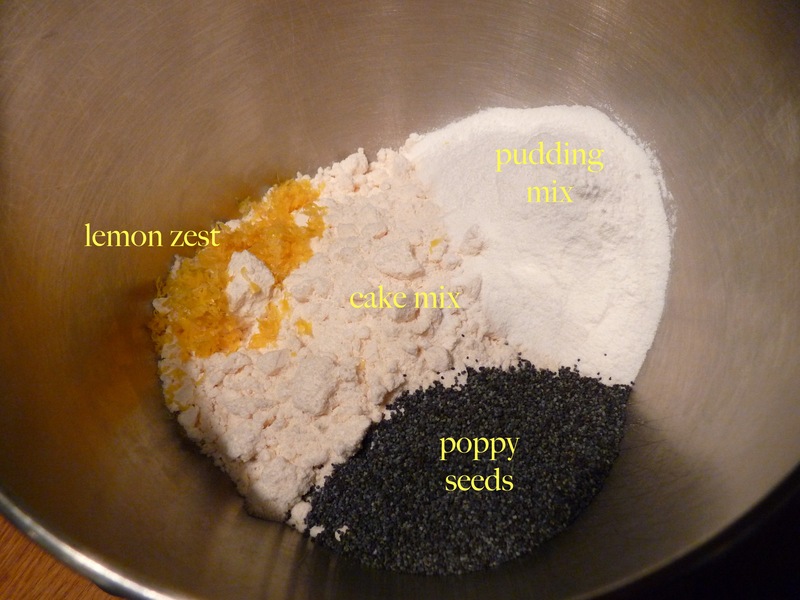 This cake is seriously poppy seedish. Poppy seedy? All in all this was a nice cake. 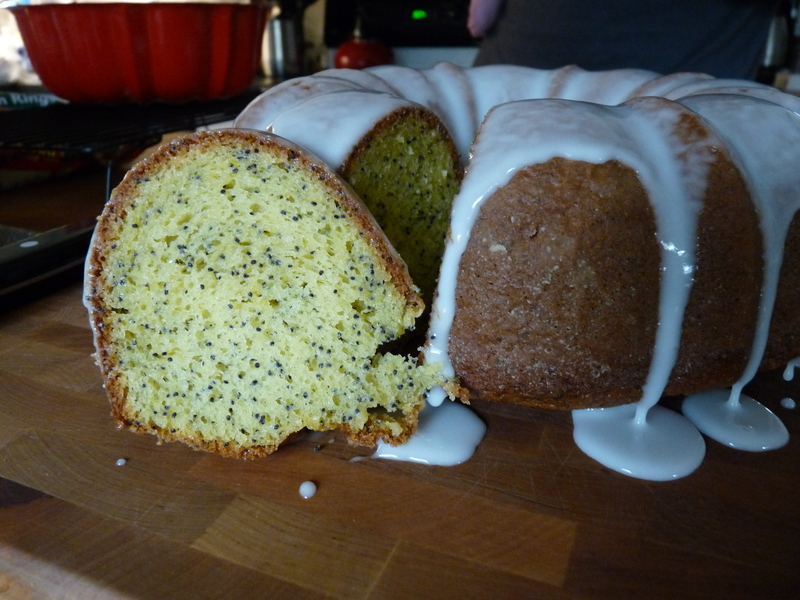 I think the next time, I’ll try using lemon cake mix instead of yellow cake mix, just to up the lemon factor. 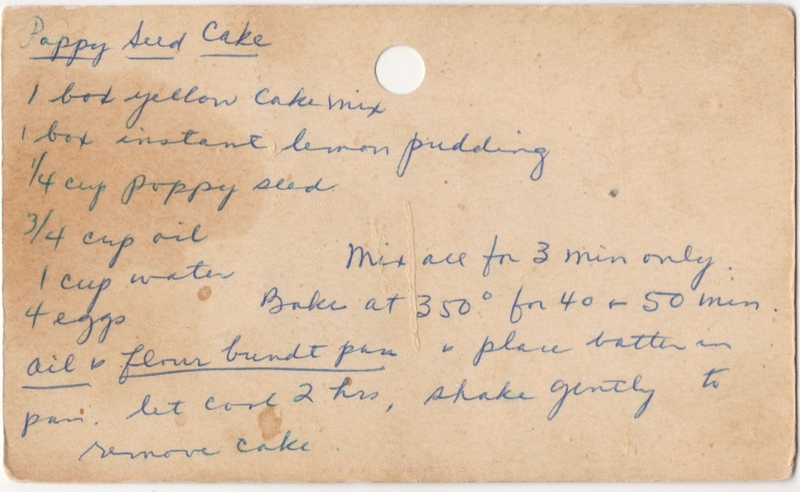 Also, the easiness of this recipe makes it very appealing. Especially when I need something to make last-minute!